Nikita: March 2012 contest 2nd place winner! Lost: Just a Kate video, showing her journey throughout the show. The Walking Dead/Lost: Part 4 of my Walking Dead/Lost collab. with LittltonPace. 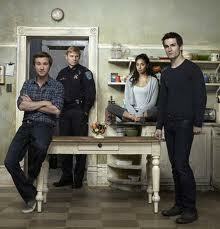 Being Human: Being Human US Version. Dollhouse: 'It's so quiet here, and I feel so cold. This house no longer feels like home.' A Dollhouse tribute. Lost/The Walking Dead: The car crash is the least of Ana and Juliet's problems as Lori frets over the uncertainty of Kate's condition. Lost/The Walking Dead: Part 2 of my collab with LittletonPace. Walking Dead/Lost crossover. Lost: Just a little Charlie/Claire video, I haven't vidded them in ages! I liked this song for them ages ago, & as sweet as they are, lets face it, there was a bit of a stalker-y vibe in their relationship, but I tried to make that sweet.